Family Law Matters Are Time Sensitive! The Bayati Law Group represents clients in matters of family law. At a time when your life and family are changing, you need an attorney who is knowledgeable and accessible, who understands your situation, and who is sensitive to your concerns. Attorney Brian A. Bayati brings that sensitivity and understanding to every case. He offers the personal support and skilled legal representation that many clients need to get their lives moving forward again. If you’re facing any family-related legal matter – whether it involves divorce, custody, support, visitation, or a pre-nuptial agreement or post-nuptial agreement – promptly contact the Bayati Law Group and put an experienced Orange County divorce lawyer to work for you. In the state of California, divorce is legally called “dissolution of marriage.” California was the first no-fault divorce state, which means a divorce will be granted if “irreconcilable differences” have made reconciliation impossible. At the Bayati Law Group, our attorneys fight aggressively to win favorable divorce terms and settlements for each client working through the legal separation or divorce process. We uncover any hidden assets, and we ensure that marital property is divided fairly and equitably. Unlike less personable law firms, we advocate for your children’s best interests regarding custody, visitation, and child support, and if an agreement cannot be reached outside of court, we will move into the litigation phase and continue fighting for you. To seek a divorce in this state, at least one spouse must be a resident of California for at least six continuous months and a resident of the county where the petition is filed for at least three continuous months. Divorce attorneys can sometimes negotiate out-of-court agreements regarding divorce-related disputes, but we will not hesitate to go to trial of your behalf if that’s what it takes to ensure that you are treated justly and fairly. Nothing can cause more anxiety or concern than a dispute over the custody of your child or children. Who will raise your children? When will you be able to see them? In any child custody dispute, you’ll need an experienced child custody attorney on your side, someone who understands your concerns and apprehensions. The family law attorneys at the Bayati Law Group handle all aspects of child custody cases including visitation privileges, decision-making rights, emergency issues, modification of custody orders, and enforcement. Let an experienced child custody attorney examine the facts regarding your custody dispute, explain your legal options, and help you make the right decisions for yourself and your children. Child support orders are court orders that obligate a non-custodial parent to provide monthly financial support for his or her children. In California, child support guidelines approved by the state’s lawmakers determine the amount of child support a non-custodial parent owes a custodial parent. The child support formula takes into account how much each parent earns, additional income either parent may receive, how many children are in need of support, and how much time each parent spends with his or her child or children. 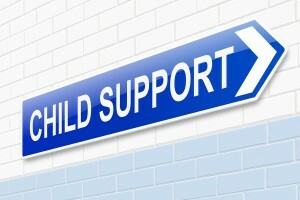 Child support in most cases is paid through the child’s 18th birthday. It may be extended by the agreement of both parents, or until age 19 if the child is still in high school, or in some cases if the child is physically or mentally handicapped. The lawyers at our family law firm can review your case at your request, work with you through every step of the process, and provide you with the legal resources you need to resolve your child support issue. Divorces are always difficult, but they need not be contentious. A mediated divorce lets couples avoid the tension and expense of court. If you and the spouse you are divorcing can reach agreements on matters like property division and child support, mediation may be right for you. Mediation is not for every couple, but if you are involved in a divorce or a divorce-related dispute that might be resolved through mediation, contact the Bayati Law group today. A mediated settlement often provides the best possible solution. California treats domestic violence as a serious crime. The Bayati Law Group can explain California’s domestic violence laws and help you obtain the legal protection you and your children need. We offer help obtaining both temporary and permanent restraining orders that will put a stop to the violence. We’ve helped scores of domestic violence victims over the years, and we know how to help you stay safe, understand your options, and make the law work for you. Paternity is the legal finding that a particular person is the father of a child. When paternity is established, a child has the right to support from both parents, medical and life insurance coverage, and inheritance protection. If you are looking to establish your own or another’s paternity, or if you need to prove that you or another person is not a father, it can be a complicated legal procedure. Contact an experienced paternity lawyer with the Bayati Law Group for the legal help you need with any aspect of a California paternity action. At Bayati Law Group, we exclusively practice family law. It’s a rapidly-evolving field, so we work with commitment and determination to stay abreast of new developments. Our exclusive focus means that clients receive the sound legal advice and dedicated legal representation they need to achieve their family goals and move forward. 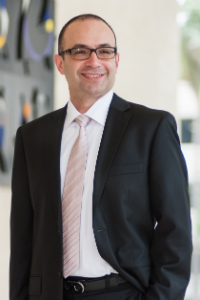 Brian A. Bayati brings his extensive experience in real estate and finance to the practice of family law, enabling him to advocate effectively for his clients in cases involving divorce, support, and division of assets. Bayati Law Group recognizes that traditional approaches to family law may be inadequate or prohibitively expensive, so they aren’t going to work well for every client. We also know that each client is unique and every case is different, so we take the time to tailor our services and find an approach that will work. Our team is dedicated to serving our clients in matters involving but not limited to divorce, child support, paternity, child custody, spousal support, restraining orders, visitation, modification of existing orders, and pre-nuptial and post-nuptial agreements. Check out our blog if you’re interested in our personal insight on any of the aforementioned topics. Whether you need immediate legal advice and representation from an experienced divorce attorney or simply want to plan ahead for your family’s future, we are available to offer an assessment of your situation, to discuss your various legal options, and to help you make the right decisions for yourself and the people you love. It is our policy to treat every Bayati Law Group client and prospective client with respect, and that sense of respect sets us apart from other attorneys. Please schedule an initial appointment with an Orange County divorce lawyer at Bayati Law Group by calling our phone number at (949) 798-5700. You can complete the form on the contact page of this site, where you will also find a map with driving directions to our law office. Additionally, we are available by email at info@BayatiLaw.com and totally respect your privacy in regard to communication. Bayati Law Group assists clients with divorce and family law matters in the Orange County area and throughout southern California.